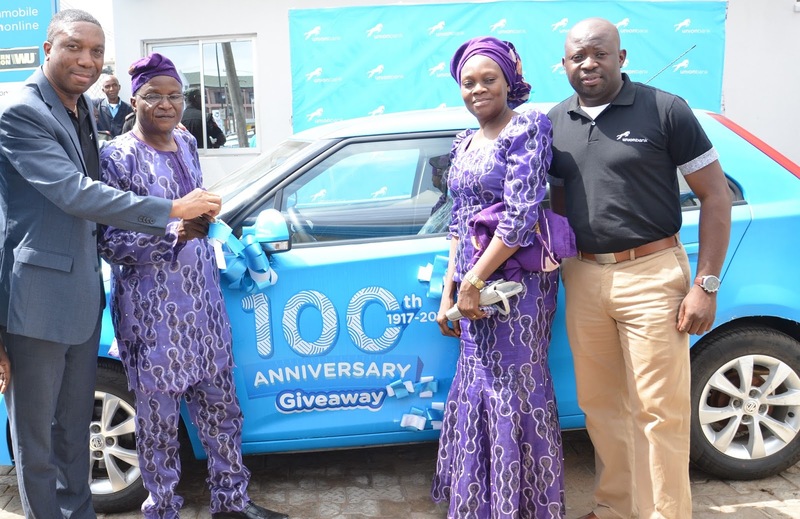 A CUSTOMER of Union Bank of Nigeria, UBN Plc, Julius Ijibadejo, has emerged the proud winner of a brand new MG3 car in the final draw of the bank’s centenary anniversary customer promo, which kicked off last year. The lucky winner, who is a trader based in Oshogbo, was presented with the car at a ceremony which took place in Dopemu, Lagos. 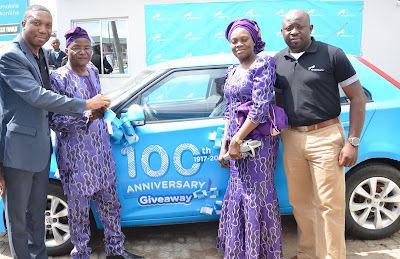 The customer promo which ran all through last year when the bank celebrated a century of operations in Nigeria, saw Union Bank giving out three brand new cars as well as other prizes including flat-screen television sets, generator sets, microwave ovens, shopping vouchers and airtime to several of its customers across the country.